The first few minutes from Son of Saul more than set the stage/tone of the entire film – a fairly close camera that never strays too far from the protagonist; a sea of voice surrounding him and then a cacophony of screams from hundreds of people. Then, the film immediately cuts to its title card and follows the titular character back to cleaning the very cell where those screams came from. Son of Saul does not waver too far from this introduction and only works to build upon it a very memorable and eerie reminder of a time period that may seem all too familiar as a film property yet unique in its perspective. Son of Saul follows its titular character, Saul (Géza Röhrig), who is a Jewish worker-prisoner in one of the Nazi concentration camps. One day, he comes upon a small boy during his work which sets off a journey to bury the boy properly while still trying to maintain his cover in his workplace. The biggest strengths of the film lie in its cinematography, its unflinching emotional energy and its interesting take on a protagonist. The first bold aspect of the film is the camera which rarely strays far from Saul. It hovers close enough for us to usually see his upper body and face while the rest of the action around him becomes a slight blur or a mess of sights/sounds (purposely). This perspective, the long takes and the intense scrutiny of the propelling plot serve to capture a number of emotions from the shady backroom deals these prisoner-workers must work with to the various politics at hand between the prisoner-worker factions. In addition, along with the acting debut of Röhrig, all of the mise-en-scene work to really capture the plight of Saul himself. Although the true question of Saul’s intention never fully comes into fruition, the character’s interactions with his captors and peers along with his unrelenting goals to put his son to rest make for quite the perspective to view both his own spirit and the plight of the prisoners in the concentration camps. The result is simply a raw amount of emotion as we, the audience, view the atrocities in such graphic detail while balancing the perils of this poor ‘father’ of sorts who is trying to bring the only sense of light back into the world. Perhaps the only faults to find with the film is in some of the scenes which veer almost too closely to action hero tropes and break the immersion that the film presents to the audience. Son of Saul is a claustrophobic, emotionally raw and disturbing look back at the World War II concentration camps in Hungary. The approach by Nemes is unique in it’s close proximity to the protagonist in many ways throughout the film and thematically hitting upon both it’s chaotic time period and the character’s internal struggles. Son of Saul is a sad triumph for its titular character and the time period it represents – a somber and poignant reminder of the struggles that still resonate to this day. 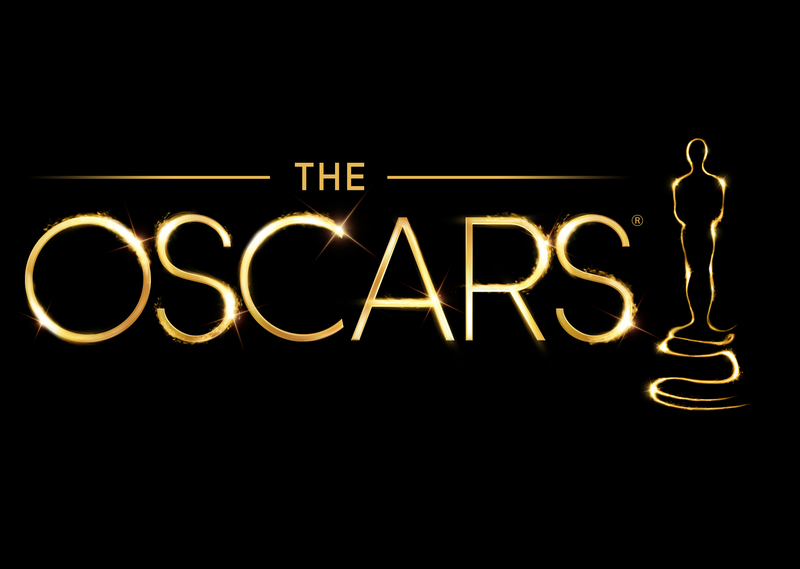 There was a tough fight between ‘Nebraska’ and ‘Captain Phillips’, but in the end, I believe ‘Captain Phillips’ resonated more as an overall film, even if ‘Nebraska’ has the bigger character pull. ‘Phillips’ may lack much in biting commentary and social relevance in comparison to many of the other films on this list, but Director Greengrass showcases a biopic that is tense, tangible and frank as it tries to understand both the Somali and US positions. 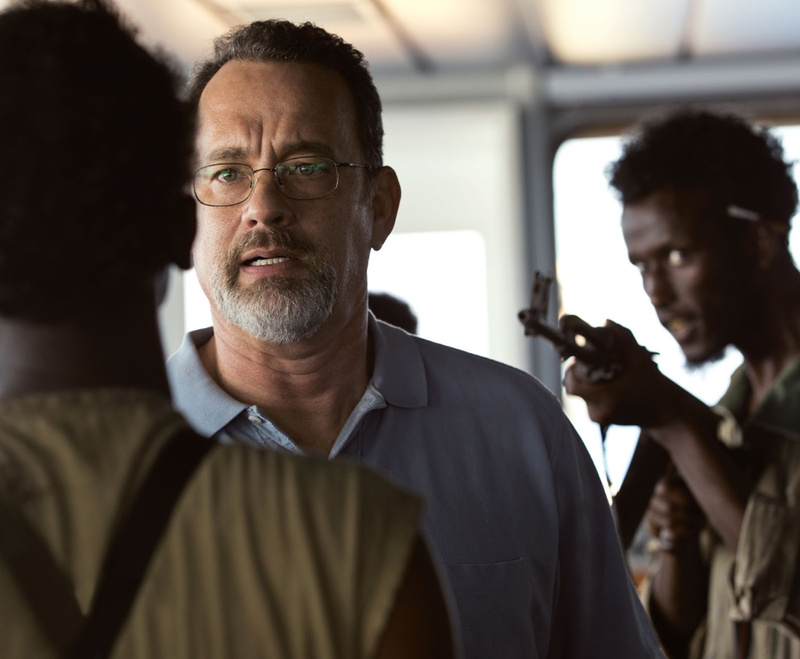 Not relying on CG gimmicks or unnecessary subplots, the film tangles the viewer up in a stand-off between a Somali pirate and a captain just trying to do his job with fantastic performances from Hanks and newcomer Abdi. 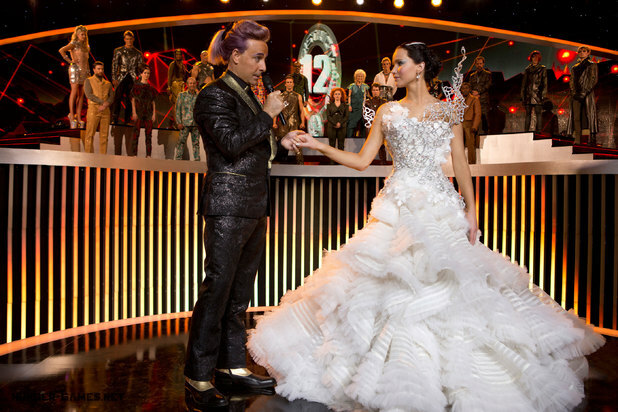 My two favorite blockbusters of the year were ‘Pacific Rim’ and ‘Catching Fire.’ This entry of the ‘Hunger Games’ saga takes the list because it does a terrific job in not only adapting it’s source material but creating an engaging and thoughtful world that touches upon relevant social issues. In addition, it takes the foundations and most of the problems from it’s predecessor and successfully elevates itself above most of them. Centered with a stalwart Lawrence and a good supporting cast, ‘Catching Fire’ is what modern book-to-film adaptations should strive for (compared to the weaker ‘Ender’s Game’ launch that came out just weeks before). Cuaron is one of my favorite personal directors of this generation, and it is a pleasure to see him return to the screen after a five-year hiatus with this beauty. 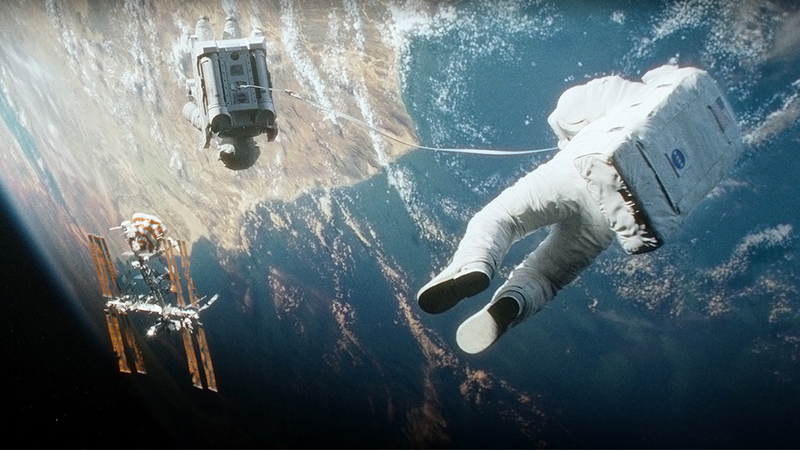 ‘Gravity’ is one of the best technological feats of the year and a terrific thriller. It’s still astounding that much of this film is CG and is one of the best representations of space in cinema along with the terrific cinematography and sound design. 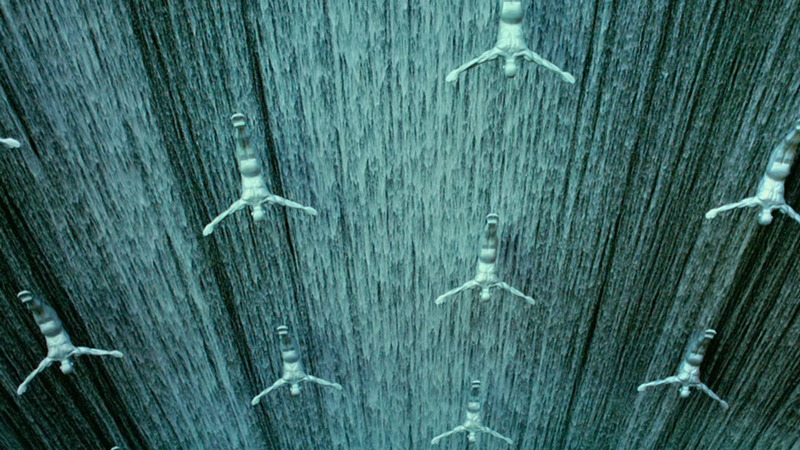 It’s a shame that the acting and narrative thread did not fare as well as the pacing and audio/visual experience, but ‘Gravity’ is a stellar example of a movie to see in theaters (and in 3D) to fully understand Cuaron’s vision. 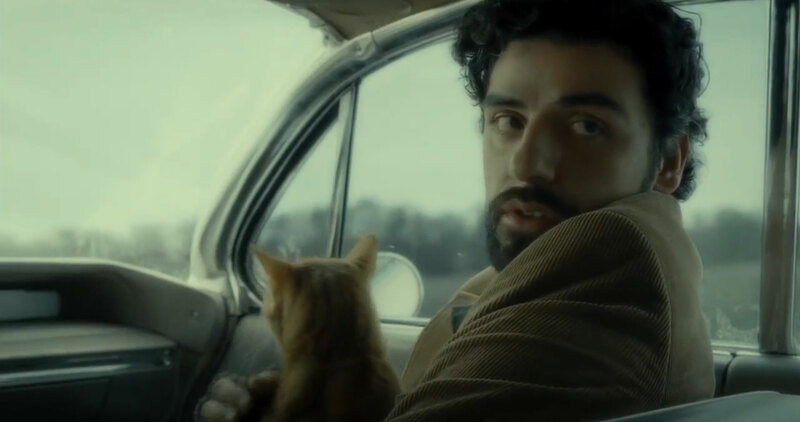 In a year of great films based on actual figures, the biggest surprise is that ‘Inside Llewyn Davis’ is a fictional tale at it’s core. Why? Because the Coen Brothers masterfully grounds the film with beautiful folk songs and characters that really embody the post-World War II era. The film is quite the downer and feels like it meanders too much, but Isaac’s performance is full of heart while the film’s subject matter is oddly refreshing in showcasing the tough life behind most creatives. It may not be the Coen Brothers’ best work outright, but it is still an engaging film all-around. 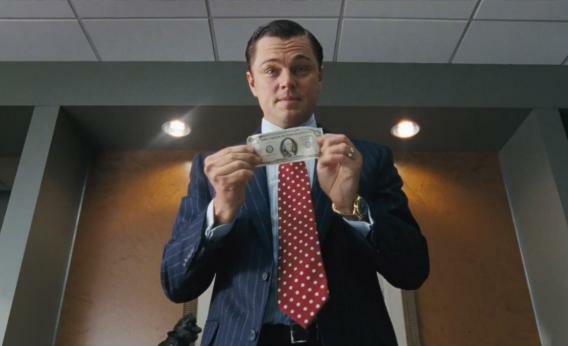 Loud, obnoxious and hilarious – ‘The Wolf of Wall Street’ is a strange Scorsese/DiCaprio beast. On the one hand, the film is messy and excessive like it’s titular character. On the other hand, the characters are colorful and fascinating, while the tone is ridiculous and devastating. In the end, it’s tough to say if the film completely succeeds in making much commentary about the US financial institution or in taking a stand on Belfort’s actions, but the ride it takes is hysterical and disgusting to think that it actually happened and will elicit fascinating conversations about it’s subject matter – a purpose that most likely is what Scorsese aimed for. Like many of the films on this list, ‘Dallas Buyer’s Club’ manages to both emotionally charge and humorously look at serious issues, which in this case delves into both the HIV/AIDs epidemic and one man’s fight for a cure. Here is a solid biopic that effectively tells its transformative tale with the right pacing and delivery with just a few squeaky wheels here and there that needed fine-tuning. ‘Dallas Buyer’s Club’ is also a terrific centerpiece for McConaughey – an actor, who in 2013, has truly shown a wide amount of dexterity in his acting capabilities with ‘Dallas Buyer’s’ probably being his most intense physically and emotionally role along with Leto’s amazing supporting performance. 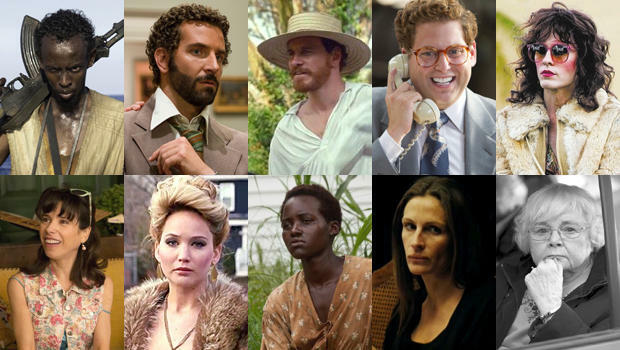 Which film had the best ensemble acting piece of the year? It unsurprisingly had to have come from David O Russell, who continues his rampage in creating brilliant character films. ‘American Hustle’ is perhaps one of his more complicated story pieces and although the plot still has a few issues (especially in it’s ho-hum ending), the characters and dialogue are thick with wit and nuance. These hustling personas are probably even better thanks to the awesome cast including Bale, Lawrence and Cooper being the standouts. ‘Hustle’ is an awesome period piece and one of the most entertaining films of the year. Although the premise of a human falling for a robotic being may have been done before, few films have tried to fully embrace a love story without an epic backdrop or complicated exposition. 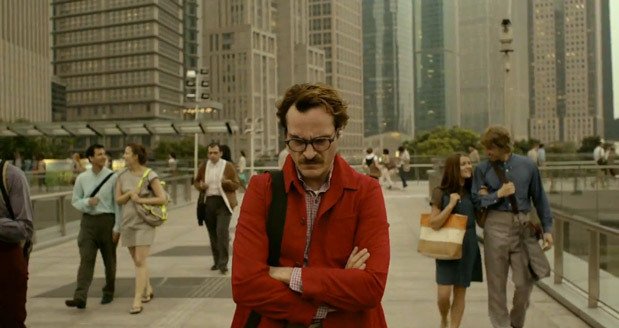 Even though the mileage of the premise dependent on one’s serious engagement with the material, ‘Her’ brings forth one of the best romantic stories of the year, and the visual and audio experiences are also some of the most beautiful of the year. Put all of this together with it’s close-to-home themes of our infatuation with our devices and the end product comes out to a futuristic story that may not be far off. 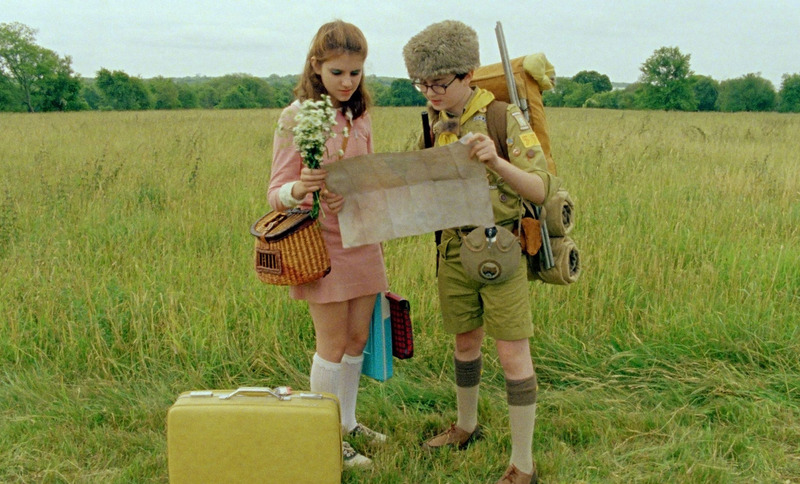 Here is one of the simplest films on my list yet is also the clearest in vision and gravitas. 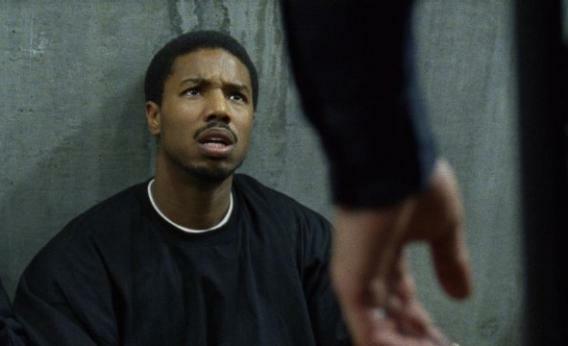 ‘Fruitvale Station’ compels you into it’s one-day narrative of the tragic story of a young man, who is trying to turn his life around and is in the wrong place at the wrong time. Anchored by a powerhouse performance from Michael B. Jordan, this film makes you try and understand all of it’s main characters and their motivations before unloading the final few devastating blows. Through it’s successes as a film, ‘Fruitvale Station’ stands as a stark reminder to the problems of excessive force and racism in the modern day. It’s fascinating to see these top two films complement each other in an odd way – ‘Fruitvale’ showcases the problems of present-day racism while ’12 Years a Slave’ highlights many past grievances – a perhaps sobering reminder of problems that still exist after all these years. ’12 Years’ is a brutal and candid movie that may feel a bit long but to the film’s thematic value rather than to it’s detriment. McQueen truly showcases one of the hardest hitting movies regarding slavery – giving insight into the stories of free men turned into slaves. Add onto this some startling performances from Chitwal and a host of supporting actors like Fassbender to elevate the film as one of the year’s most memorable if not most emotional. ‘Oldboy’ was a very provocative film when it first released on Korean shores. Beautifully shot with a frenetic style, it was part of a fascinating Korean renaissance of filmmaking and quite the film to watch. As often as it happens in the modern day of films, the US has taken the property and remade it, unfortunately to very unsatisfying results. This new iteration of ‘Oldboy’ may have the trappings of it’s original’s plotline but lacks little else in it’s messy execution that may only please on the most superficial levels. 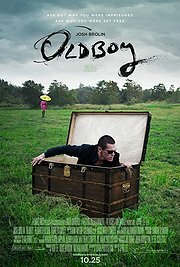 ‘Oldboy’ follows Joe Doucett (Josh Brolin) who is working in advertising and is a drunkard in the worst ways. After a drunken night in town, he suddenly blacks out and is awaken in a motel room which he cannot escape. After 20 years of imprisonment and learning through an in-room TV that he is framed for murder for his ex-wife along with his daughter trying to live a normal life, Joe is put in a box and let go in the middle of the city – trying to retrace who may have wronged him and why. 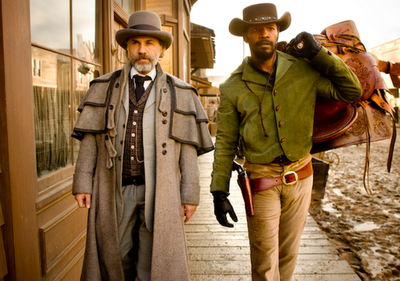 Along the way, Joe encounters Marie (Elizabeth Olsen), Chaney (Samuel L. Jackson) and finally, the Stranger (Sharlto Copley) himself. Spike Lee’s remake falls apart in several key aspects: the bland aesthetical choices, a rushed/weaker script and a miscast set of actors. In terms of just a visual and auditory experience, ‘Oldboy’ underwhelms. A generic orchestral soundtrack that is oddly punctured with a metal guitar during action sequences feel completely uninspired. On top of this, there is a lack of much physicality to scenes like the hammer fight scene, which feels odd in how it is shot and the lack of emotion within the choreography. This scene is a great example of how this film simply takes a key scene from the original and only goes through the motions of remaking it rather than understanding what made the scene great overall. How the hammer scene is written is a great reminder in how the whole script seemed to work – simply summarizing points from the original and never doing much to capture the spirit or emotion behind it’s predecessor. More like a ‘greatest hits’ remake, the film makes nods towards the original (such as an octopus in a fish tank) and follows the original’s plot track beat-by-beat but never seems to capture the intensity or even mystery/tension that this film tries to grasp towards. Joe, for instance, has an unnecessary and poorly shot scene where he fights a group of football players that tries to showcase his anger and new fighting prowess but comes off making the character even more unlikable and confusing as to why it had to happen. The climax and explanations/additions/changes all feel undercooked and underwhelming as well. Mixed in with the weak script is some of the worst product placement of the year that tries to integrate itself with Joe’s lack of technological prowess and ends up displaying more logos with unnecessary screen time. Additionally, the majority of the cast feel completely misplaced or, at the very least, awkwardly written in. Josh Brolin, for instance, is written off as a very unlikable character and does not find much redemption in his actions or given any really redeeming qualities. These features become important since we stick with the character throughout the entire film and although Brolin is given a numerous amount of hardships to overcome, the audience rarely empathizes with the drama itself. These casting problems extend to Copley and to a certain extent, even Jackson who feel more goofball than evil. The most positive aspect about the film is probably Olsen who as a character is written a bit more logically than her counterpart in the original film and in terms of acting, is the most comfortable in her role. It’s just a shame that the rest of the film was not given more attention like her. ‘Oldboy’ is a great example into how not to remake a film. On top of a generic and inconsistent soundtrack and a mostly odd miscast cast, the script simply only replicates the beats than take the innovative style and charisma of it’s predecessor. The end effect feels like a sloppy film that has been ‘Hollywood-ized’ in the worst ways. If you are interested in the premise behind the film, go watch the original Korean version of the film. This version of the story feels uninspired and generic even with the pedigree of the cast and crew behind it. ‘Ender’s Game’ is a classic novel that had a unique twist in focusing on child soldiers in a sci-fi setting that few other stories touched upon. Now as a film adaptation, ‘Ender’s Game’ has to bear the weight of what many other adaptations face – the balance of telling the plot of the original source material along with creating smart adaptations that fit better to a film format. Even beyond these points, though, the ultimate question becomes how does the story fare on film alone. ‘Ender’s Game’ unfortunately feels like potential that is never reached – a film that may entertain on a surface level but does not resonate when audiences step outside the theater. 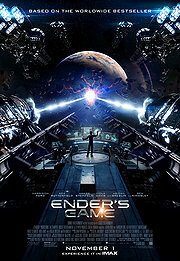 ‘Ender’s Game’ follows Ender Wiggin (Asa Butterfield), a young, intelligent boy is being recruited to join the International Military in the fight against an alien race. This child soldier program is being headed, on the ground, by Col. Graff (Harrison Ford) who sees potential in young Wiggin and brings him up to Battle School. Ender has a tough journey ahead as he has to assimilate with his competitive classmates and a series of trials that only grow harder in preparation for the battle against the alien invaders. Some of the best parts about the film lie in the actors and some of the themes/visuals. The actors, for the most part, are fairly good in their roles. The two standouts and well-cast parts belong to Butterfield and Ford who both do a great job with creating multi-faceted characters. Butterfield is at his best when given tactical reign and brings great conflicted emotion when the situations arise. Ford, on the other hand, is playing one of his better roles in recent years – feeling manipulative yet patriotic. When the two interact, there’s a great conflict that continuously plays off the two actors and pays off by film’s end. In addition, some of the visuals are fairly impressive such as the Battle School itself and it’s huge circular Battle Room that hosts some of the more fun action sequences. In addition, some of the themes resonate well such as the use of child soldiers and the effects of ‘modern’ warfare. One of the film’s best sequences come after the climax between Ford and Butterfield that presents more than enough shades of grey to really create some good food for thought. It’s a shame, unfortunately, that this great final scene showcases the few moments of brilliance that feels underwhelming throughout the rest of the film. One of the biggest issues come within the film’s rushed pacing. Especially noticeable in it’s first half, the film zooms off – not exactly in an enthralling way but in awkward, rushed cuts that make emotional scenes lack gravitas and understanding. This pacing issue eventually starts to get better by film’s end although by this point, it feels too little, too late. This issue is not even about a long running time since the film runs a little less than two hours – it is an issue of strange editing. Characterizations are also exacerbated by this issue in addition to the film’s script. Although Ender and Col. Graff feel like well-rounded characters, secondary characters that Ender meet feel woefully underdeveloped and rushed. Much like in any movie with a big cast, it’s understandable that many side characters will not be as noticed, yet many of the important smaller characters here are given very little to do and ultimately come off as one-note. Dink, for instance, has a role to play by film’s end, but his relationship with Ender is never really fleshed and his presence in the final scenes of the film feels confusing than celebratory. The final issue is in the visuals themselves. Although the Battle Room and a few other scenes have a relatively interesting, modern look, many scenes seem to lack a more serious aesthetic – falling more towards feeling like props and costumes than natural and organic with the world being created. The film just always has a quality of aloofness associated with it rather than a natural pull. Overall, all these issues lead to a lack of nuance and a much more emotional weight that many may have experienced with the books. Instead, the film ends up being a simple sci-fi action film adaptation with only some more serious thoughts peppered throughout. ‘Ender’s Game’ is the classic case of a film adaptation that just does not do enough to condense and focus it’s original narrative into a film that still feels in spirit like it’s original source material while retaining deeper themes and characterizations. There are some good points to be noted here including some great acting from Butterfield and Ford along with retaining some general gravitas about themes like child soldiers and warfare. However, the film is so content on trying to be close to it’s dense source material that it feels more like a summary of the book rather than a compelling film with a rushed first half and a host of secondary characters that feel underdeveloped and underwhelming. Indeed, the question perhaps comes up – being who this film is ultimately for? Perhaps the ultimate goal is for fans to read the original source material or for a general audience to consume such content in simpler manner. In any case, the end result feels disjointed and strange – only hinting at the potential of a greater story that would have worked had the film either trusted it’s source material more to create a grand epic or to hone the film more in on it’s main characters and thoughts. 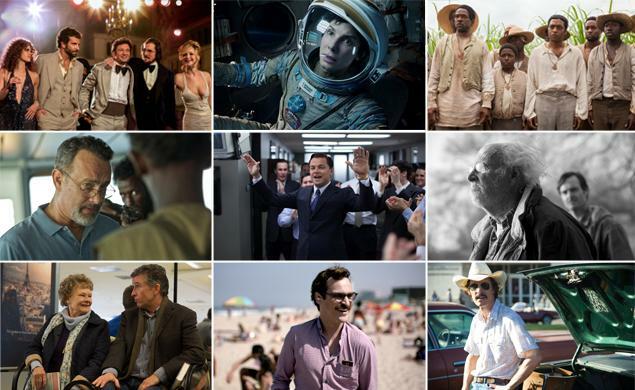 Those that have talked to me about this past summer of movies can easily retell you – I was extremely disappointed. Whether it was a gluttony of bad scripts or a lousy sequel, there were simply too many depressing moments. 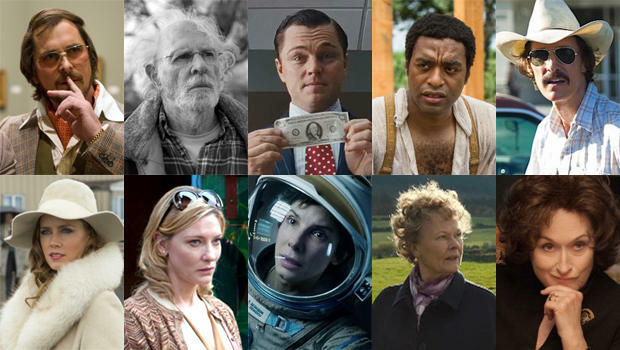 Hollywood is blaming the gluttony of blockbusters amongst the shrinking audience or the increasing competition of other media – both of which are true, but in my opinion – very few of the films this summer resonated or were well made overall, thus creating bad word of mouth and a general lack of disinterest. I don’t believe this will be my last summer film recap forever as summers likes 2012 showed that the medium can still be both profitable and high in quality, but I sure hope Hollywood studios understand the reasoning behind the faulty exterior. Dumb but fun – Del Toro’s Pacific Rim encapsulates the exact opposite of what I find so lacking in the Transformers series from Bay. Del Toro pays respect to his inspirations while knowing to never be overly serious with his crazy subject matter. Although the film could have taken a few more steps to be a truly great films for the ages (whether it was some really awkwardly acted scenes or some lackluster sub plots), the film threw some great surprises and understood the nature of pacing and showmanship. 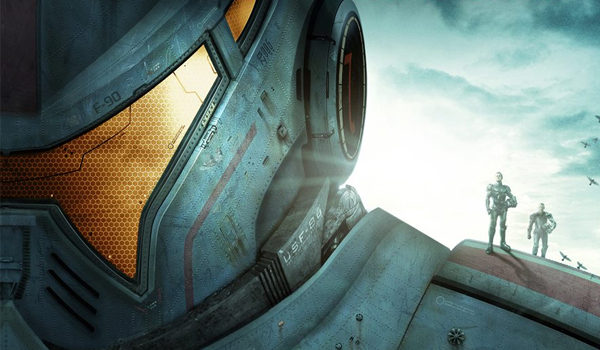 Pacific Rim was the most fun I had this summer and even though it may have been oddly marketed in the US or perhaps overly geeky – it still makes for a really great ride that deserves to be seen on the big screen. Not a big fan of the ending and almost goes into the territory of being too in-jokey but hey, This is the End was probably the funniest movie of the summer with some surprisingly candid, funny laughs and great cameos. 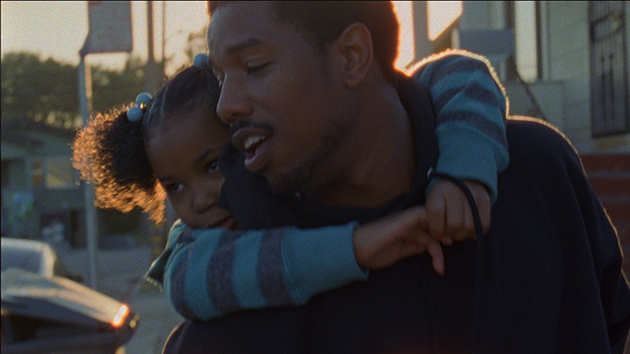 Although it was overly simplistic and lacked a bigger picture perspective, Fruitvale Station is one of the most touching and well-acted films of the summer and perhaps the year thus far. Although the whole cast deserves much credit for brining both candidness and gravitas to this up-and-down story, Michael B. Jordan deserves the best nod here as a young man who is quick on his feet and seemingly bright with a shady, conflicted past that continues to haunt him. 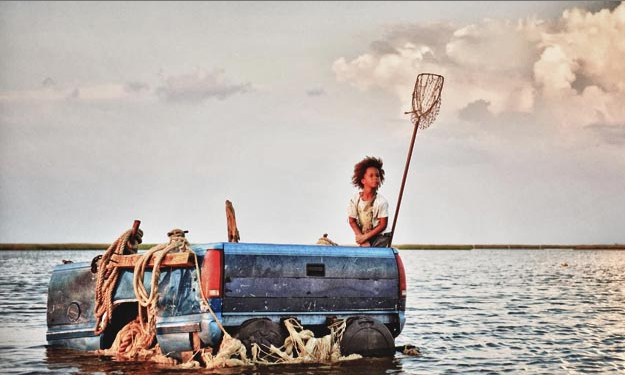 It’s a film about family; a film about racial profiling; and perhaps most importantly, a film about the gravity choices, however big or small. A terrific film all-around. Blue Jasmine lacks the charm and love of the film’s location, San Francisco, as other Allen films and starts out so depressing and never really gets any brighter. Still, Blancett’s acting is absolutely terrific and the script helps dive the characters into a myriad of mistakes, lies and misery – Allen is as insightful as ever. With so many sequels and remakes this summer, it was surprising to see that an original film from one of my past favorite film’s directors, District 9’s Blomkamp, earn the distinction of being my most disappointing summer movie. Although Elysium is beautiful in it’s vision and gives off an initially fascinating world, the film devolves into poor writing and strange plot points. 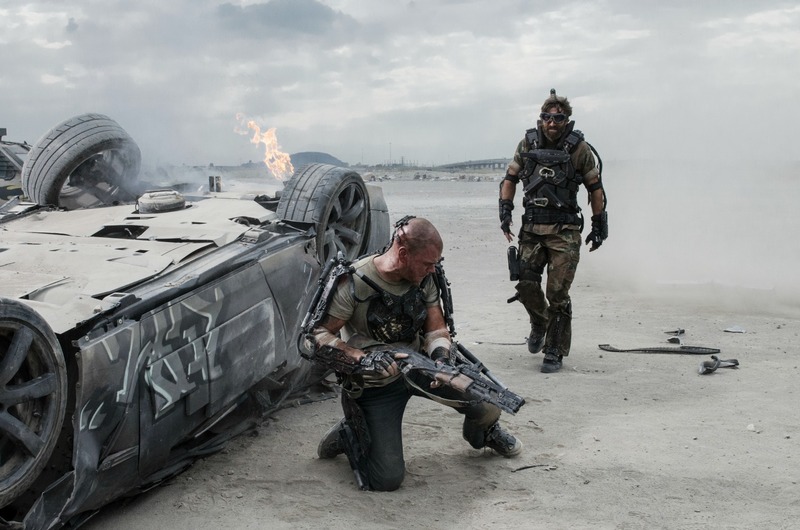 What we are ultimately left with is a rote, mindless action film added with one-note characters, unnecessary repetitive scenes and one of the weakest endings this summer – a mighty shame given the fascinating backdrop Blomkamp and team created. Love-it-or-hate-it, unfortunately, Snyder’s Superman interpretation falls for me as a ‘hate it’. A number of aspects push the film down from it’s schizophrenic story to poor plot beats that end up with characters that I never emphasized much with. Add on top of all this a second half that has grand action scenes without much care for the surroundings and a lack of emotional pull equates to one of the most disappointing superhero films of the summer.